New CPT category I codes are effective for reporting as of January 1, 2019. Among this year’s important changes to CPT are code additions that reflect the tremendous potential of using connected health tools to better support clinicians in patient population health and care coordination services, and other novel delivery systems that are vital for improving the overall quality of health care. Additional CPT changes for 2019 include new and revised codes for skin biopsy, fine needle aspiration biopsy, adaptive behavior analysis, and central nervous system assessments including psychological and neuropsychological testing. If you need help with these new codes, Aviacode offers advanced medical coding solutions that guarantee accuracy and turnaround time. Our solutions are less costly and less hassle for practice managers, physicians, hospitals, health systems, providers and payers. You can use us as a temporary solution for eliminating backlogs or providing overflow coding coverage, or as a permanent transition of specific specialties or departments. Aviacode uses the best credentialed and experienced coders in the industry. 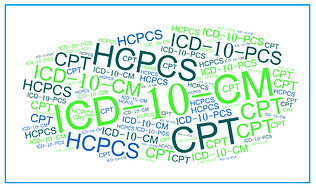 All our coders are AAPC or AHIMA certified, and they are continually working to improve their productivity and to stay on top of changes in rules and regulations – including this latest CPT code set -- through ongoing training. We have skilled coding expertise in a number of chart types, including inpatient, outpatient, same-day surgery, emergency department, observation, ancillary, recurring, and diagnostic and interventional radiology. Our coders and auditors have deep experience from facility, pro-fee, and HCC / risk adjustment.